Rick Riordan is the award-winning writer of the Percy Jackson series, The Kane Chronicles and the Heroes of Olympus series. He lives in San Antonio, Texas, with his wife and two sons. Percy Jackson and the Lightning Thief was the overall winner of the Red House Children's Book Award in 2006, and made into a blockbuster film starring Sean Bean, Pierce Brosnan and Uma Thurman in 2010. The series has gone on to become a chart-topping success. What an awesome ending to the Kane Chronicles trilogy. This story tells of all the values of life through a fun loving(?) story that the whole family will enjoy. 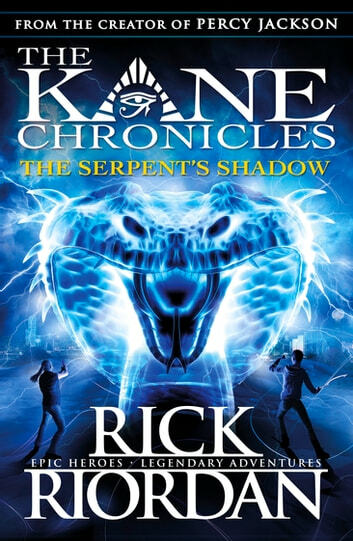 I've read the Percy Jackson series, the first two books from the Heroes of Olympus and the previous two books (as well as this book) from the Kane Chronicles, and I believe this is the best so far! I highly recommend it for anyone and everyone! It is so sad to see the trilogy finally come to a close and it has been an excellent trilogy. I can't wait to read the Son of Sobek short story!!!!!!!!! Loved this can't wait for the next installment! Rick Riordan is a brilliant author.. just can't get enough! This book is sooooooo good! If you haven't read it, read it a.s.a.p. THIS BOOK IS AWSM TO THE MAX!!!!!!! This book is the best Kane Chronicles book. Out of 10 I would give it 9 1/2. I think that this is a very good book. I have read all of the books before this one in this series.